Home Amazing santa claus tomb discover real or fake ? santa claus tomb discover real or fake ? Who’s ready for an early Christmas gift? 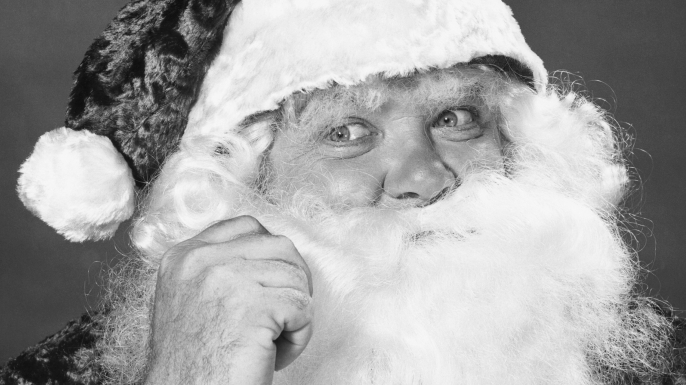 The tomb of jolly ole Saint Nic may have recently been discovered by a group of archaeologists in Turkey. 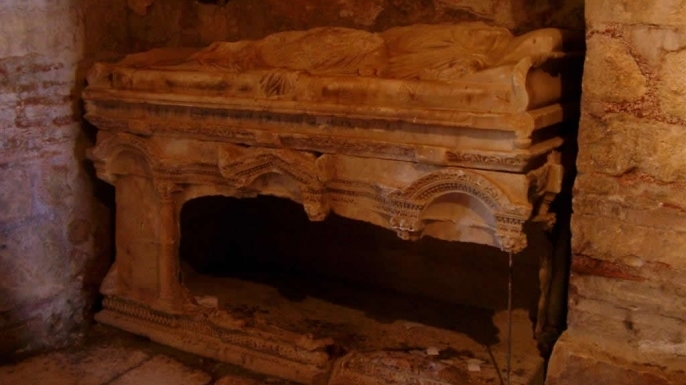 The crypt of St. Nicholas, popularly known as Santa Claus, was found in the famed saint’s namesake church in the Demre district of Antalya, a southern region of Turkey believed to be his birthplace. The tomb was revealed during a digital analysis of the ground beneath the 5th century Byzantine church. “We believe this shrine has not been damaged at all, but it is quite difficult to get to it as there are mosaics on the floor,” Cemil Karabayram, head of Antalya’s Monument Authority told the Turkish Hurriyet Daily News. In order to get to the subterranean tomb to confirm whether St. Nicholas is inside, researchers will have to remove the floor of the stone church without disturbing the striking frescoes representing the life of its namesake saint. Luckily, the tomb is still intact, according to Karbayram. The same can’t be said for the tomb originally thought—before this one was unearthed—to have housed Saint Nicholas. Within the St. Nicholas Church lies a smashed grave that was once believed to hold the bones of St. Nicholas. In 1071, during the conquest of the region by Muslim Seljuq Turks, some Christians sought to bring the saint’s bones to a Christian territory. Sixteen years later, in 1087, Italian sailors stole the bones and transported them to Bari, Italy. Until this discovery, the remains of the beloved saint were believed to have been in Italy at the Basilica di San Nicola, and even to secrete manna (the sweet-smelling liquid dripping from the tomb was later revealed to be water). At the site of what could be St. Nicholas’ actual tomb, Karabayram also foundhistoric documents that suggest the tomb previously thought to have belonged to Saint Nicholas actually belonged to an anonymous local priest. The saint was known for his generosity throughout the 4th century, a reputation that has held up to this day. He has been described as a person who rescued sisters from slavery and protected children from kidnapping and death. Excavation of the site is underway to unearth the possible remains of St. Nicholas. The professor leading the dig, Sema Dogan, has said unearthing the tomb could result in more tourism to Turkey. Another act of charity courtesy of the great saint, even from beyond the grave.